We believe color and pattern are so va-va-voom! 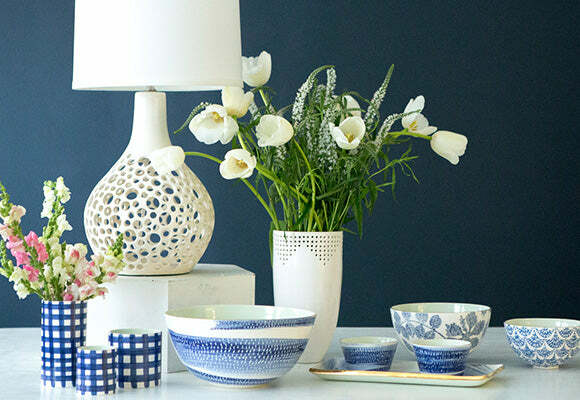 Our home goods have classic clean lines, but also throw a punch of irresistible cheer. Our bread and butter? One of a kind ceramics - each piece is thrown on the potters wheel, hand painted and then gilded with a 14K gold edge.